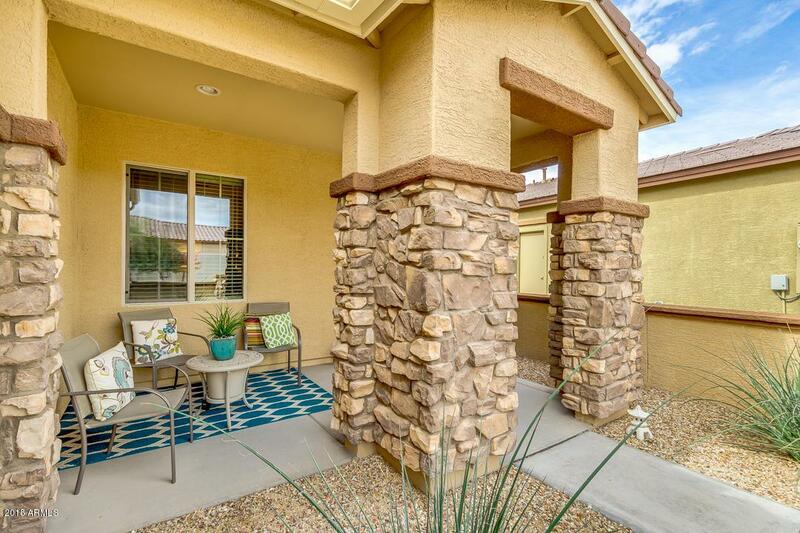 This Arizona oasis is move-in ready! Impeccable Libretto model, includes 2 bedrooms plus a den. Gently lived in and ready for a new owner. Sought after private backyard. Upgraded kitchen cabinets with under-lighting, tile back-splash, upgraded granite and upgraded appliances. Master suite has extended bay window sitting area. Master ensuite has a walk-in shower, double sinks, and large walk-in closet. 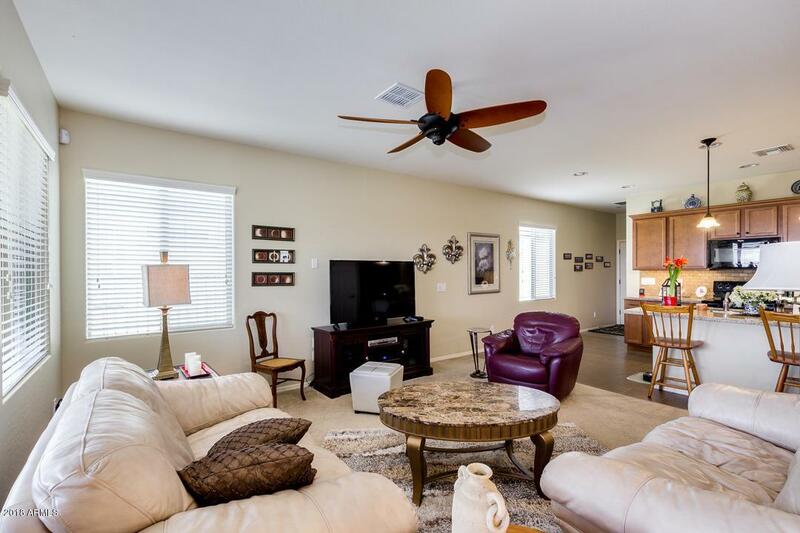 Large den with double door entry for office, secondary TV room, or additional guest room. Fans in all rooms. 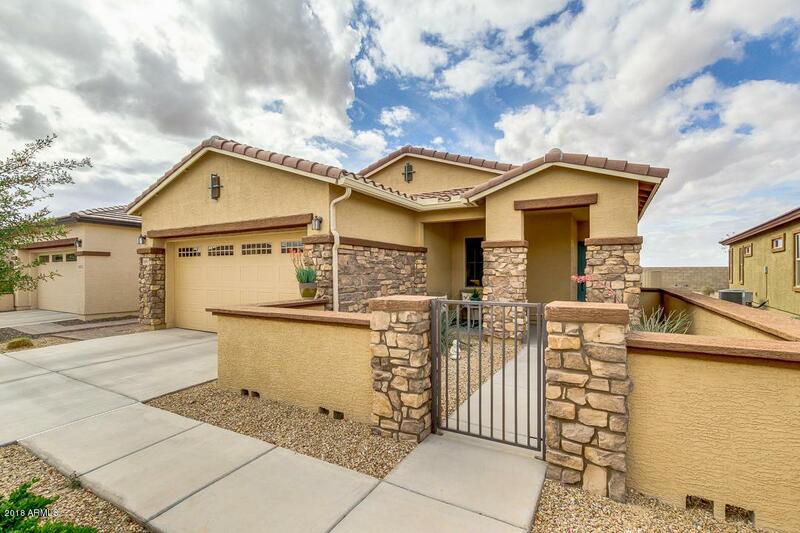 Low maintenance, high quality, synthetic-grass in fenced backyard, large covered patio with Arizona rolling screen. Front covered, gated courtyard. The garage has 2-ft extension, and a water softener. Resort living! 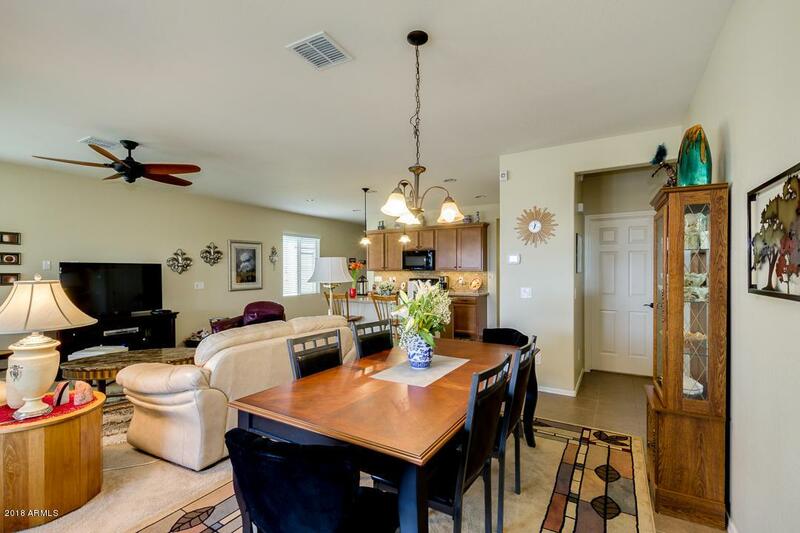 CantaMia is a 55+ community,...including so many useful amenities that you can be as busy or as relaxed as you desire. Outside resort pool is heated with a beach entry. Village Center with fitness room and fitness classes, billiard room, inside lap pool, library and gourmet kitchen. Art studio and dog. Outside activities include Pickle Ball, Tennis, Bocce ball, Horse shoes, walking and bike trails. Enjoy a glass or wine with friends by one of the outside fire-pits by the lake. Catch and release fishing, clubs, activities, the list is endless.